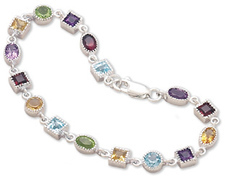 Bracelets are a perfect place to show off beautiful gemstones. Classics, like black onyx, modern favorites like larimar -- it's all here! 30 day satisfaction guarantee!